EZ-Glue case sealers will take the erected box with product and seal the top of the case with hot melt glue. The case will come from the conveyor, where the case will be stopped by the box stop. 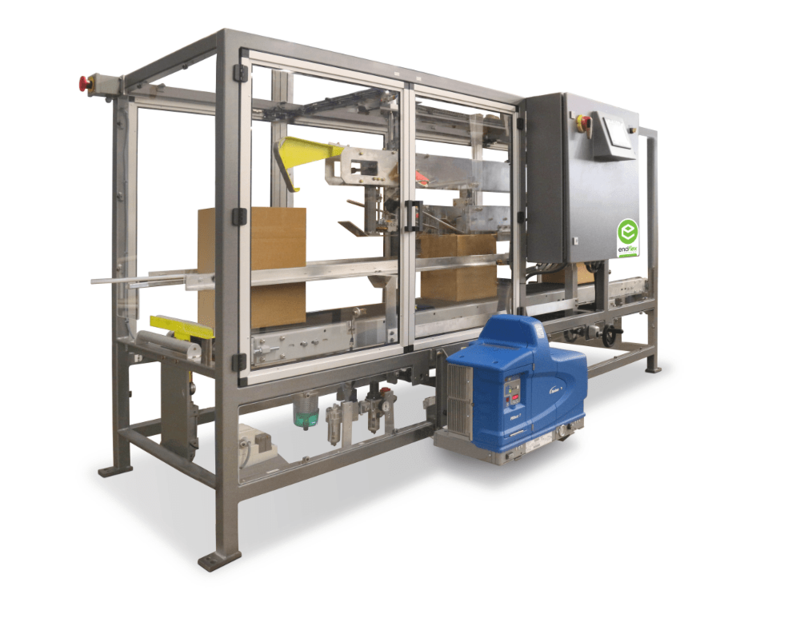 When the machine is ready to accept the box, the box stop will proceed, allowing the box to enter the machine. The box then transfers through the machine. As the box travels through the machine, the front minor flap and the rear minor flap will be tucked into the box. Glue will be applied to the minor flaps and, at the same time, the minor flaps will be folded over the top of the case. The case will then travel under a set of compression rollers sealing the top of the case. Front, back, and side flaps are automatically folded. Heavy duty side-belt drives ensures square cases and provide tight seals. Dual masts provide stability during the entire sealing process. Size changeover is quick and easy and the entire unit is height-adjustable. EZ-TAPE Case Sealers features tool-less tape heads for accurate and consistent sealing with easily removable tape cartridges. 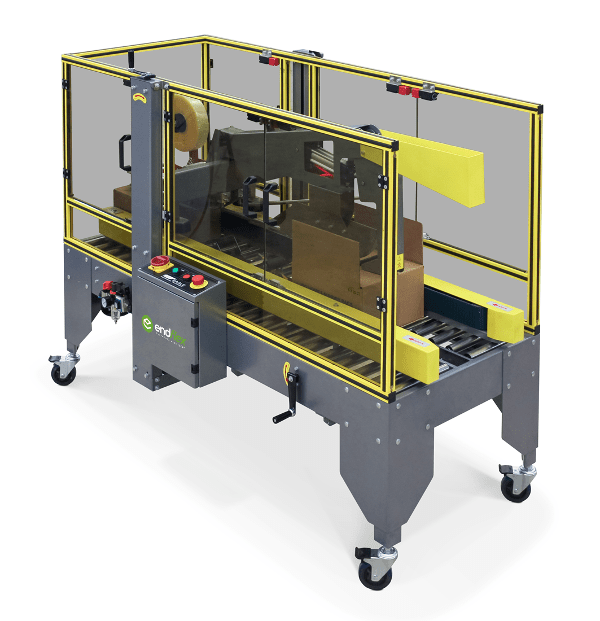 This portable sealer with casters uses 120 VAC and can work independently or as part of a complete production line.